This spectacular luxury jungle lodge offers a wide range of on-site activities that would keep even the most avid little traveler entertained. 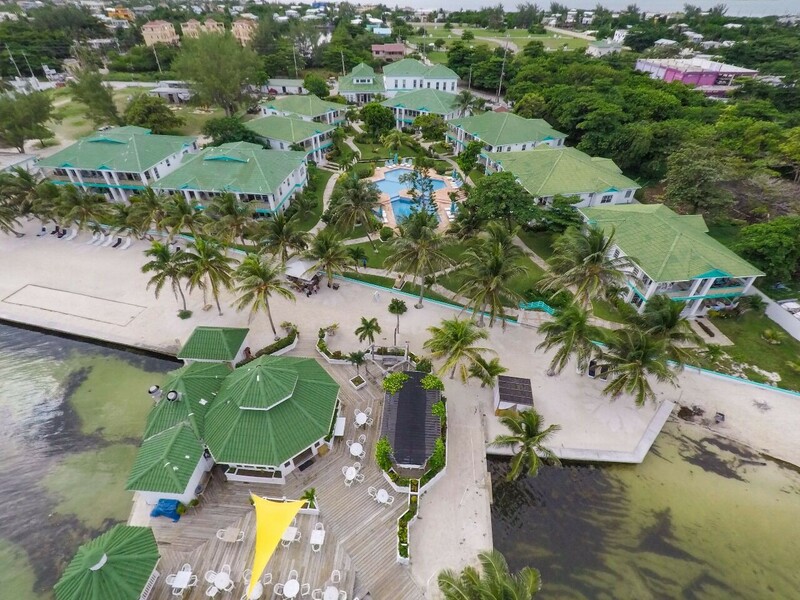 In fact, this ideal Belize Family Resorts offers a healthy range of room options to accommodate small and large families alike at any budget. Whether you’re traveling with kids or teens you can choose from some of the most exciting on-site trips the lodge offers. These trips can include, a creatures of the night hike, which takes you in search of flora and fauna at night along with your naturalist guide, a horse riding trip through nature trails within the property, canoe down the Macal river, or discover the Blue Morpho butterfly farm and natural history center. Whatever your interest might be, Chaa Creek has some of the best options for you family getaway. Subsequently, if your family is active and loves adventures, then this is the perfect escape. The lodge features a wide range of accommodation options for every family. Uniquely these accommodations range from rustic jungle cabana options with communal outdoor showers to luxury jungle tree-houses. Equipped with roof top decks and outdoor soak tubs perfect for star gazing at night. Of course if you have an up-and-coming Indiana Jones in your family, he or she will love these exotic adventures. 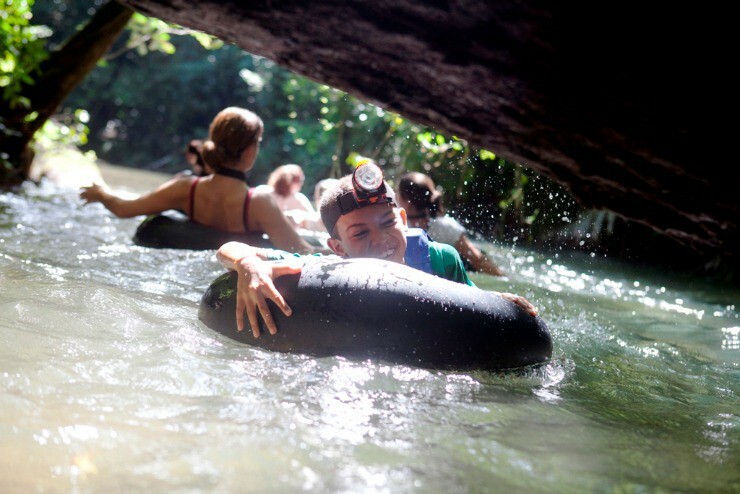 In fact kids will enjoy cave tubing on an inner tube through a series of subterranean caves. Not to mention many of which still contain ancient Maya relics and human remains. Other adventures include zip lining through the jungle canopy, canoeing, kayaking, and exploring the many sacred caves that dot the landscape. 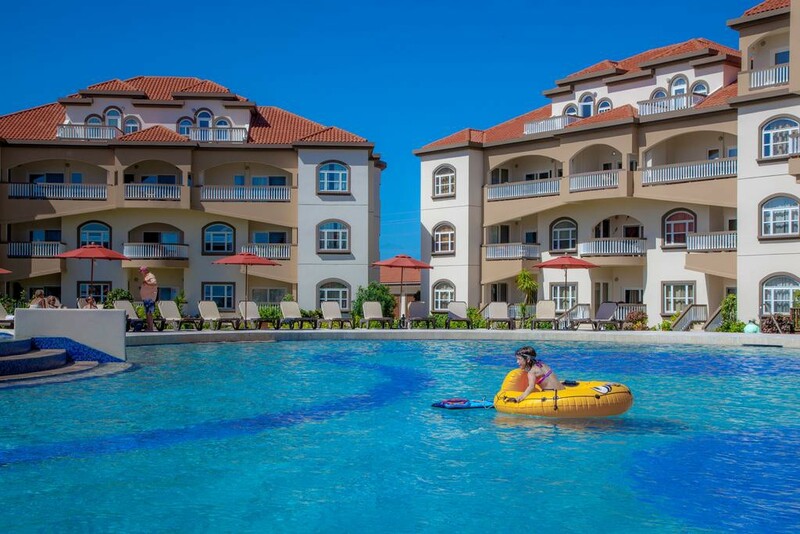 In addition, the resort offer professional babysitting service, kid’s wading pool and complimentary use of kayaks and paddle boards. In fact Banyan Bay Villas also offer an assortment of family friendly activities including a salt water wading and snorkeling area for children. Coupled with a fully maintained beach sand court for family or group volley ball games on the beach. Game ball provided free of charge to guests. Located only 2 miles north on the island of Ambergris Caye; this luxury beach resort offers amenities for the entire family. Grand Caribe offers luxury condos in 1 to 5 bedrooms suites. These feature a fully equipped kitchen, dining and family room, with each bedroom having its own bath. These family friendly rooms can accommodate any size family. They are fully equipped with large screen TVs, internet and patios for outdoor relaxing. Grand Caribe offers a number of on-site amenities and services. These include, six freshwater pools, including a large shallow area for toddlers, bridges and fountains for older kids, deep pools for teens, and 2 poolside hot tubs for everyone to enjoy. Likewise there are hundreds of feet of beach to play and swim. Coupled with a private pier over water to jump off or just relax while enjoying the sea creatures below. Similarly the resort features a game room. Equipped with board games, foosball table and an arcade game to keep kids busy for hours. Moreover, the resort restaurants also offer kid-friendly meals, including a grocery and convenience store onsite. For parents looking for a little alone time, babysitting services can be arranged. 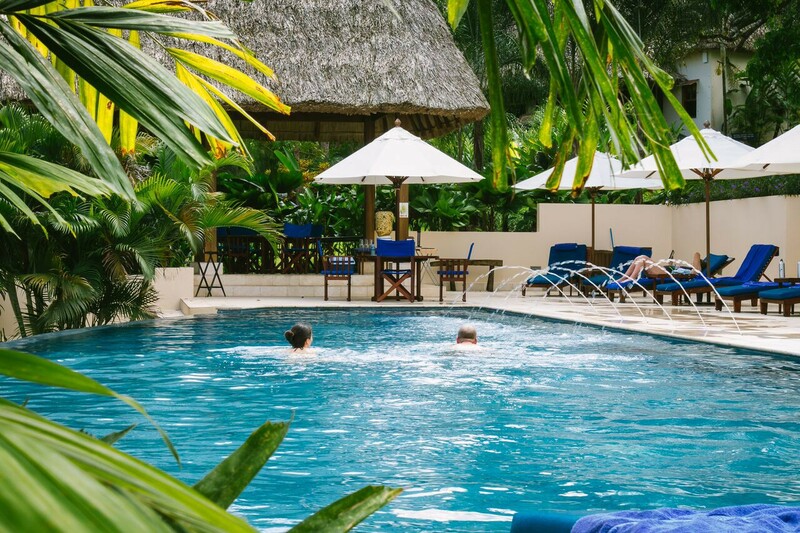 Interested in making any of these Belize Family Resorts part of your next family vacation? Talk to Us Now!